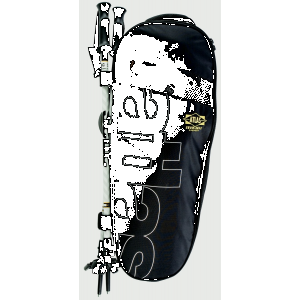 The Atlas Snowshoe 2 Piece Lockjaw Poles are the perfect addition to your snowshoe gear. Designed with easy-to-use over-center cam clamps, you can secure and release effortlessly, providing easy packing and adjustment even while wearing gloves. These lightweight snowshoe poles adjust easily, even when you're wearing gloves, so you can set the pace, enjoy a balanced workout and maintain stability on a variety of terrain. The Atlas 3-piece LockJaw(TM) snowshoe poles not only enhance stability and traction in the snow, they also feature easy locking mechanisms for quick, secure adjustment. 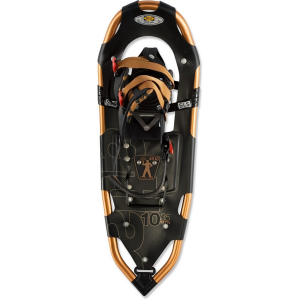 Built for enthusiasts aged 8 - 12, Atlas Spark 20 snowshoes have a binding that's easy to use, sizing to fit fast-growing adventurers, and durable materials that stand up to a boy's abuse. Show your snowshoes some love with the Atlas Deluxe Snowshoe Tote. For snowshoes 27-30 inches in length.